On April 19, just two days before Prince was found dead in his home, Baltimore mourned the one-year anniversary of the death of Freddie Gray, who died of injuries allegedly sustained while in police custody. And Prince and Gray are actually deeply connected. Just less than a year ago, in May of 2015, Prince released "Baltimore," a song dedicated to Freddie Gray. Prince was more than an incredibly famous pop star. Recently, he proved to be an activist, too. With "Baltimore," Prince tried to ensure there was no silence surrounding Gray's death, and asked, "Does anybody hear us pray for Michael Brown or Freddie Gray?" Later in the song, Prince pleads for peace, singing, "Are we gonna see another bloody day? We're tired of the cryin' and people dyin.' Let's take all the guns away." In "Baltimore's" oft-repeated chorus, Prince asked for justice for Gray, and sang, "If there ain't no justice then there ain't no peace." Prince's "Baltimore" commemorates Gray's death, and can be seen as advocating for an end to police brutality and gun violence. In a review of "Baltimore," NPR compared Prince to the activist folk musician Pete Seeger, claiming that with this commemorative song, he became a musician with a message. Prince paid tribute to Gray with more than just a song. In May of 2015, he held a concert in Baltimore, calling it the Rally4Peace. 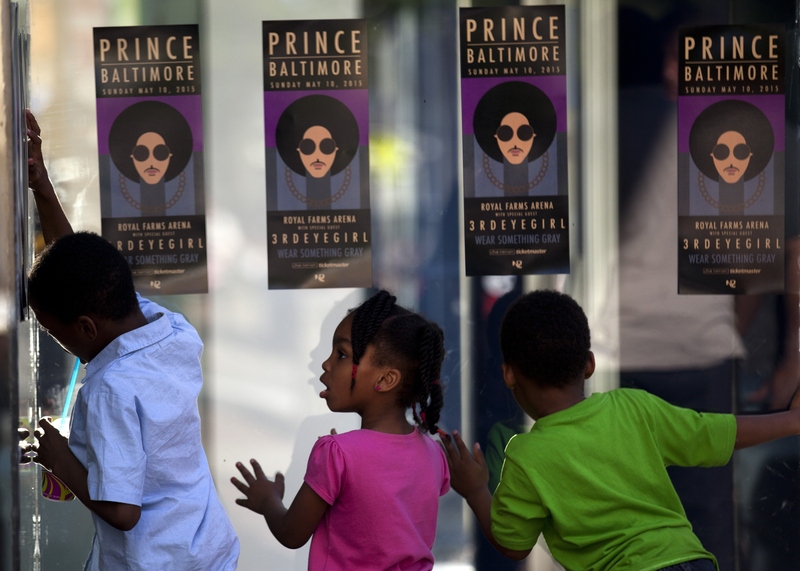 CNN reported that Prince asked attendees of the concert to wear gray, in memory of Freddie Gray, and on the poster for the rally, Prince too was depicted in the somber color, rather than in his signature purple. According to CNN, Prince's message at the Rally4Peace went broader than a commemoration of Gray. Apparently, the pop star called for reforms within the police and criminal justice systems, too. At the concert, Prince addressed the younger members of the crowd, saying, "The system is broken. It's up to you young folks to fix it." Prince must have wanted to inspire activism in others, too. Prince addressed the crowd again during the concert, with great empathy for the city of Baltimore in the wake of the riots that followed Gray's death. Wanting to make it clear he played for the people of Baltimore, Prince said, "To those who have lost loved ones, we are your servants tonight. We're here for you." Prince's death marks the end of a pop star's career, and the end of his activism. However, through "Baltimore," Prince's message will not be forgotten.